Stop your pooch from tracking water and dirt into your home with our super absorbent and dirt trapping doormat! 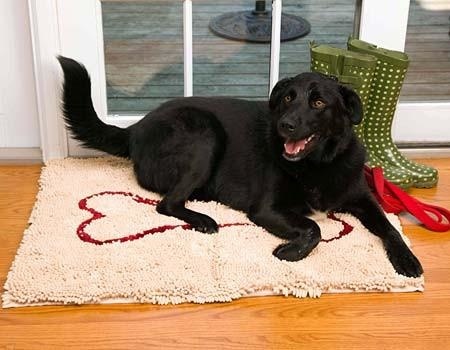 Made from our velvety-soft microfiber chenille, these Soggy Doggy Doormats keep muddy paw prints out! Machine washable and dryer friendly, for a quick and easy clean. Made from super-absorbent microfiber chenille.